After winter break Hostel Wolna Chata is back! Hostel Wolna Chata is friendly place where You can feel like at home. 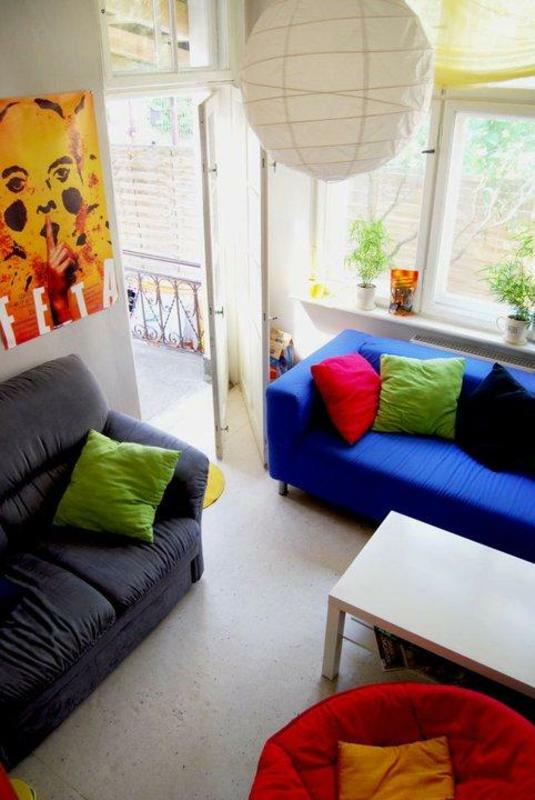 We offer You seven rooms such as double privates and mix dorms. In every room You will find very comfortable beds with always clean linen. In our colorfull kitchen You can always get tee and coffe and fresh breakfast every morning, all included in price. 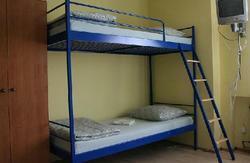 In Hostel Wolna Chata You will find three bathrooms with toilets. The WiFi is free of charge and it is available in whole building . In our green garden You can fully relax and meet other backpacers and Hostels' staff over a BBQ. Our staff is ready to help You to plan Your stay in Gdansk. Gdansk Oliwa district where Hostel Wolna Chata is situated is very calm and leafy place with great history. You will find beautiful Oliwski Park just around the corner with monumental Cathedral. You can also visit ZOO or climb to the viewpoint with a stunning view on the sea. If You want to get to the beach from Hostel Wolna Chata it will take only 25 minutes walk. Hostel Wolna Chata is situated only 4 minutes walk from the train station Gdansk Oliwa were all long distance and local trains stop. All means of public transportation are near to the Hostel, and thanks to it to get to the Old Town in Gdansk will take You only 12 minutes and to Sopot 5 minutes. Hostel Wolna Chata is enviromental and bike friendly so we will encourage You to get to know Gdansk from the bike because in our opinion it is the best way to get to know this city. We can also organize bike trip for You. 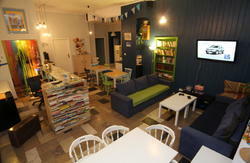 If You want to get the best of Gdansk Hostel Wolna Chata is the best place to stay! From the airport You should take the bus number 110 and get to the last station which is Gdansk Wrzeszcz. Than You will have to take the fast city train called SKM (direction Gdynia) and get off on the 3rd stop named Gdansk Oliwa. Getting off in Gdansk Oliwa You have to go underneath the tunnel to the back of the Station, cross the roundabout with bus stops and go straight ahead. The Hostel is just 4 minutes from railway station. The whole trip should not take longer than 45 minutes. If You are coming to Gdansk by train You should buy ticket to Gdansk Oliwa station. Getting off in Gdansk Oliwa You have to go underneath the tunnel to the back of the Station, cross the roundabout with bus stops and go straight ahead. From the railway station in Oliwa is just 4 minutes walk to the Hostel Wolna Chata. Hostel is on the left hand side. If You are driving by car to Gdansk there is nothing more simple to find us just follow the signs of Gdansk International Fair Co. (Miedzynarodowe Targi Gdanskie) we are located just two streets from them.